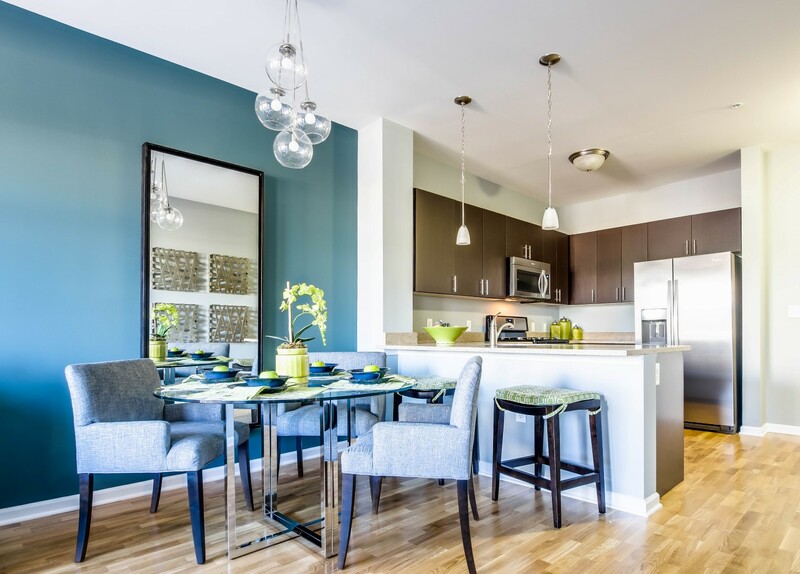 HARRISON, N.J. – While living in a nearby apartment, Harrison resident Liang noticed a modern, attractive rental development rising along the Passaic River waterfront. During his commute to nearby Rutgers University, he watched as construction progressed just a few blocks from his home, the warm brick-and-glass façade piquing his interest. When Water’s Edge at Harrison recently opened for lease this fall, Liang was among the first in line to tour the community, and upon first impression decided that he wanted to move in. The monthly rental prices are comparable to what he was paying in his older rental, but these apartments are much more spacious and bright. Plus, the entire community exudes a sense of luxury only found in new construction development. The apartment interior finishes are top-of-the-line, boasting hardwood flooring in living areas and condo-style kitchens and baths, while the clubhouse and two-level outdoor terrace boast a clever array of lifestyle amenities he could see himself using. Liang, a research assistant at Rutgers University and a PhD candidate, loves the Harrison location. It is convenient to Newark, where he takes graduate classes, and it is also easy for him to hop on the PATH train when he wants to get to downtown Manhattan in 20 minutes or less. The neighborhood is constantly evolving and there are a number of local businesses he enjoys, such as a nearby Chinese restaurant and Top’s Diner, just up the road. Harrison, a once-industrial municipality on the banks of the Passaic River, has become known as a town in the midst of a renaissance. Hundreds of millions of dollars are being invested in residential real estate and a $256-million upgrade to the Harrison PATH station is underway. With attractions such as the Red Bull Arena within walking distance, the debut of a brand-new, eco-friendly Element hotel, and numerous new shops and restaurants opening in town, Harrison is quickly transforming into an exciting destination, and is becoming more attractive to new residents every day. The contemporary, spacious apartments that attracted Liang to Water’s Edge are some of the nicest in the area, featuring such upscale appointments as hardwood floors in living areas, plush carpeted bedrooms, soaring 9-foot ceilings and high-efficiency washer/dryers. Chef-inspired kitchens boast stone countertops, custom cabinetry, and an enviable collection of stainless steel appliances, which include a dishwasher and gas range. The homes range in size from 545 to 1,232 square feet. 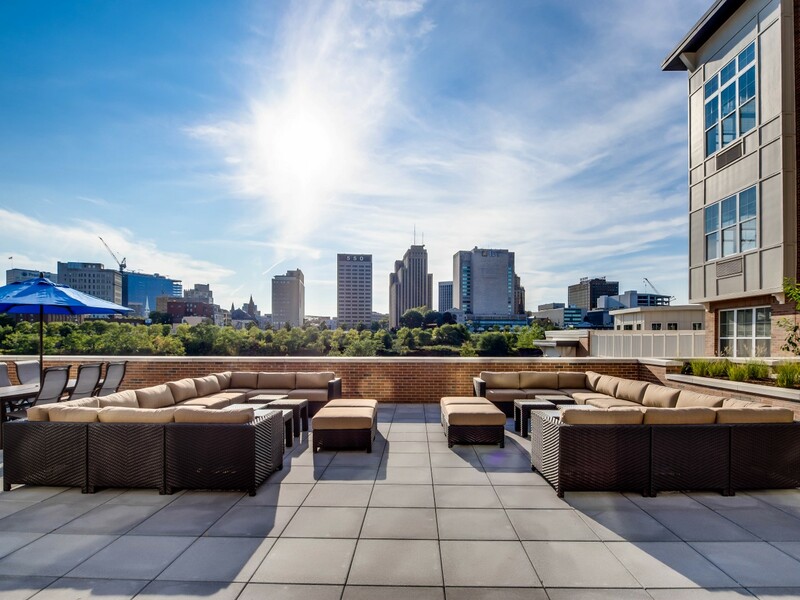 Private outdoor space is available and residents receive complimentary window treatments. Water’s Edge is a pet-friendly community, managed by BNE Management Group. In addition to its proximity to mass-transit, the community offers residents easy access to Route 280, Route 21, the New Jersey Turnpike and the Garden State Parkway. Rental prices start from $1,495 for studios, the $1,700s for one-bedroom apartments and the $2,200s for two-bedroom apartments. The leasing office is now open 7-days a week, and immediate occupancy is available. For more information about rental opportunities, please visit http://www.RentAtWatersEdge.com or call 973-268-9778.